March - Sunday 25th. 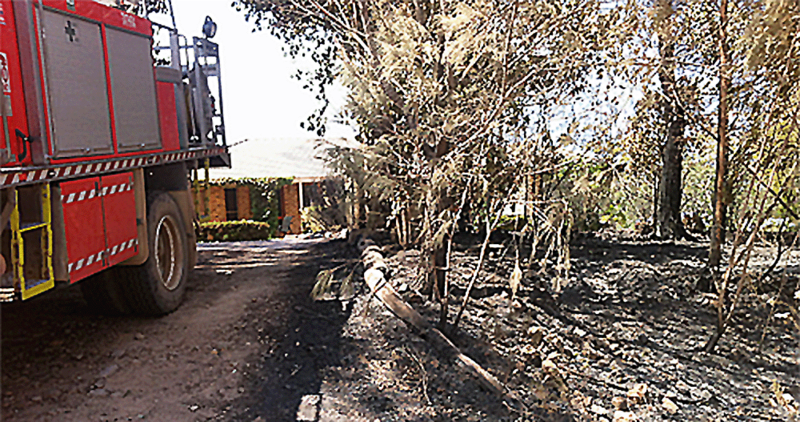 Devastating fires impact the Reedy Swamp / Tathra areas. Eventually about 70 homes are lost in Tathra / Thomson's Drive. Brigades from across the whole Bega District are involved. All emergency services are responded to the area. Even though houses are totally levelled, the community are in high spirits and thankful for what they have. May - Tathra VRFB - AGM - elected officers: Adam Wiggins (Captain); Jason Lewington (Senior Deputy Captain); Lance Hartley (Deputy Captain), Richard Gallimore (Deputy Captain). December - The LED sign + wall in front of Station is completed and operational. Thanks in part to the RFSA for a Grant to complete the wall. The date on the wall reflects the official opening of the new Station. January - Brigade members participate in the Millingandi / Wolumla Fires. January - Brigade members participate in the Brogo Fires. January - Brigade members participate in the Yarrabin (Cooma) Fires. March - Tathra VRFB - AGM - elected officers: Adam Wiggins (Captain); Jason Lewington (Senior Deputy Captain); Lance Hartley (Deputy Captain). March -Brigade members participate in flood operations - Wagga Wagga. Box trailer officially handed over to the "red fleet", and repainted. June - Official opening of Tathra Station by the Commissioner, Shane Fitzsimmons. April - 2kW solar array is installed on the roof of Tathra Station. Tathra VRFB - AGM (April) - elected officers: Adam Wiggins (Captain); Jason Lewington (Senior Deputy Captain); Lance Hartley (Deputy Captain). October - Sewerage and electricity finally completed on new station. Tathra VRFB - AGM (June) - elected officers: Adam Wiggins (Captain); Jason Lewington (Senior Deputy Captain); Lance Hartley (Deputy Captain).